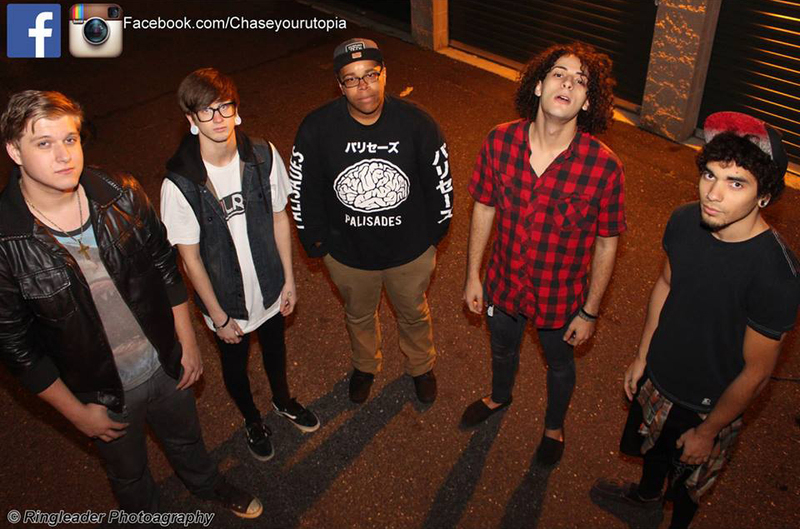 Five of South Jersey’s most passionate musicians have recently come together to form what they like to call Chasing Utopia. Coming together only less than a year ago, members RJay Conley, Zack Routon, Alec Wright, Julian Willingham, and Marcus Barnard say they are already achieving more than they ever thought possible. Last Friday, October 30th, the guys took the stage with Victory Records’ artist, The Bunny The Bear. Fans energetically enjoyed the set as Chasing Utopia shared words of hope. The Bunny The Bear bassist was even spotted moshing in the crowd.